This recipe is taken from my new favourite book ‘Honey & Co: The Baking Book’ which is written by Itamar Srulovich and Sarit Packer, two Israelis who have set up shop in London serving the food of their native country. This book is full of authentic recipes which are easy to reproduce. I was sold immediately by the amount of unusual (for me) flavour combinations, not spoiled by complicated techniques or expensive ingredients. This cake falls into this category too. 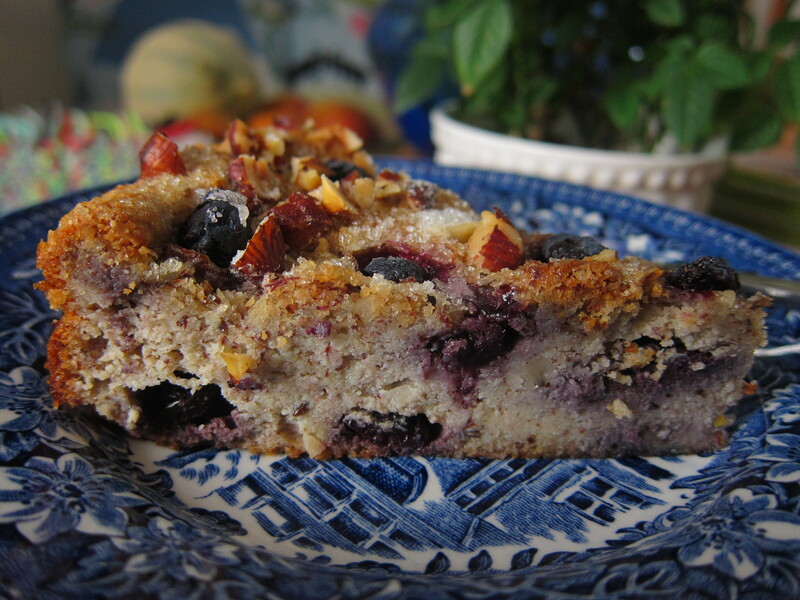 Blueberry & Hazenuts – who would’ve thought that it goes well together. 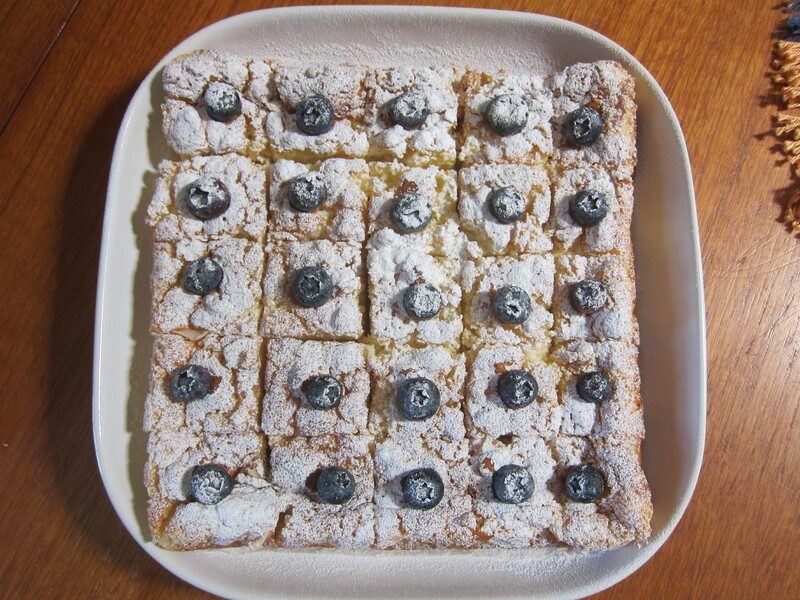 And, of course, I’m a big believer in Ricotta, which keeps the cake extremely moist while hazelnuts bring flavour and texture, and it works very well with blueberries. 1. Preheat the oven to 180C. Butter the bottom of the 23cm cake tin, line with baking parchment and butter the sides. 2. Cream the butter and sugar with electric mixer until light and fluffy. Add the eggs, one by one. Add the salt, lemon zest and ground hazelnuts, mix until fully incorporated. 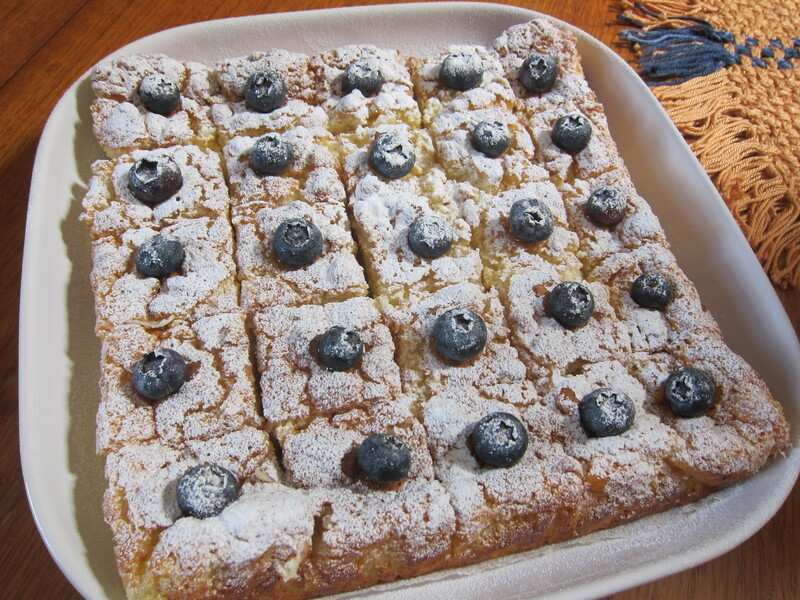 Fold the ricotta and half the blueberries into the batter and scoop into the prepared tin. 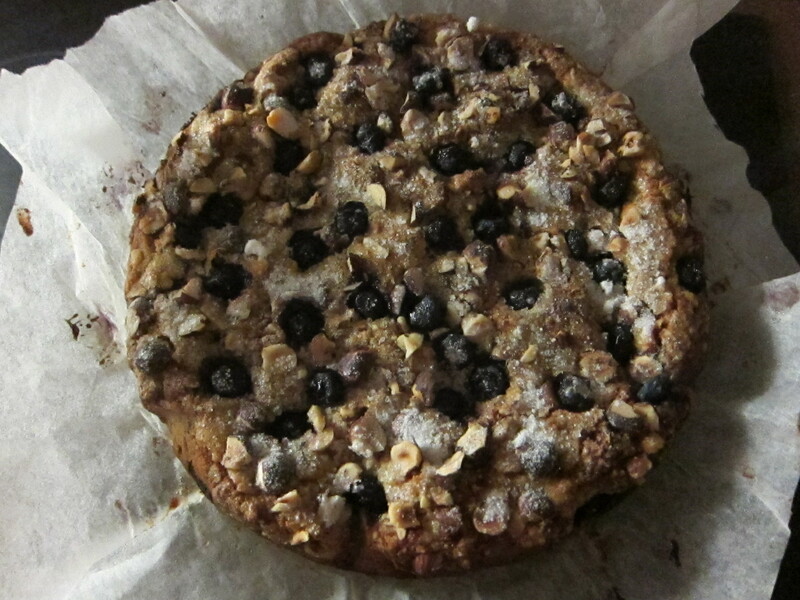 Top with the remaining blueberries and the roughly chopped hazelnuts, sprinkle with the demerara sugar. 3. Bake for about 55-65 minutes or until the cake has set. Allow to cool in the tin. Once cooled, place in the fridge to help it set so that you can transfer it to a serving plate. 4. The cake keeps well in the fridge up to 3-4 days, but it is best to bring it up to the room temperature before serving so you can enjoy all the flavours in full. LOVE THIS! I made these muffins the same day I saw the post by Tux. I followed the recipe completely and enjoyed them. Since then, I made them 3 more times just with an additional sprinkle of sugar on top. 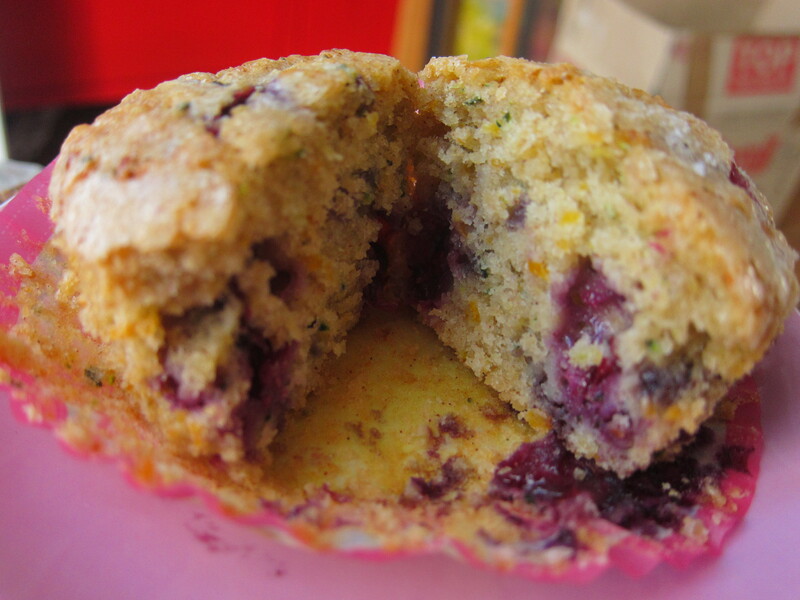 They came up just the way I expected – full of goodness inside (blueberries, zucchini, veg oil), moist, not too sweet with the perfect crust on top. 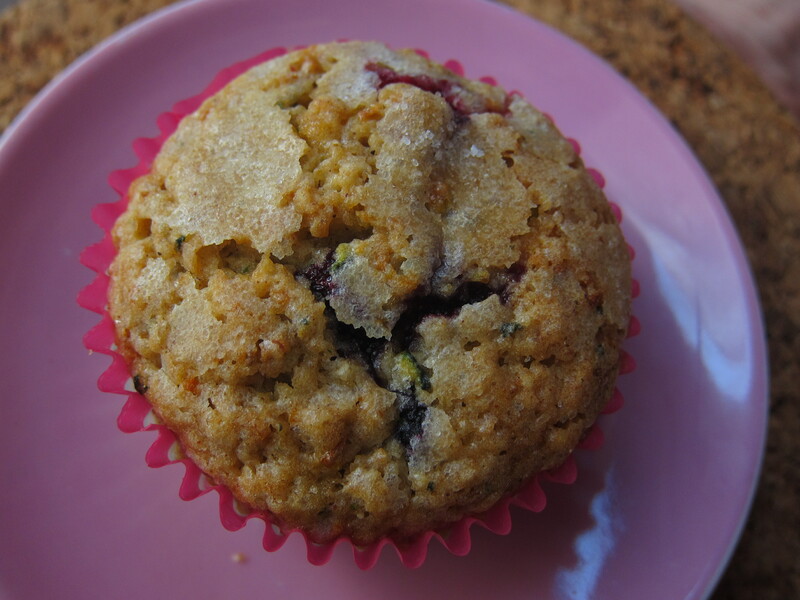 These muffins were a HUGE hit with everyone. I will be making them regularly. Thank you Tux! For the recipe, click HERE and check out his wonderful blog. Are you curious about why this cake is magical? The beauty of it is with in the batter mixture, during the bake, will split magically into three distinctive layers. On the bottom is a dense layer, followed by a mid level custard filling, crowned by a fluffy sponge layer. There’s no need to make a filling, just scatter some icing sugar on top. Everything is done for you by “oven” magic. 1. Preheat oven to 180C. Butter an 20x20cm square baking tin and line with parchment paper so two sides overhang for easy removal. 2. In a medium bowl, using an electric mixer, beat the egg whites for about 5 minutes or more until stiff peaks form. Set aside. 3. In a large bowl, beat the egg yolks, add vanilla extract, sugar and continue mixing until pale and thick, about 3 minutes. Add butter and mix until it starts to thicken again. Then add the milk, one cup at a time, mix well. Sift the flour into the bowl and beat until all the flour is mixed in. 4. Gently and quickly fold the egg whites into the egg yolk mixture until just combined. Batter will be a little lumpy. 5. Slowly pour cake batter into the prepared baking tin and bake at 180C for 10 minutes. Then keeping the cake in the oven, reduce the heat to 160C and bake for another 40-50 minutes until the top is golden. Let it cool completely. Dust with some icing sugar and decorate with any preferred berries, if you wish. 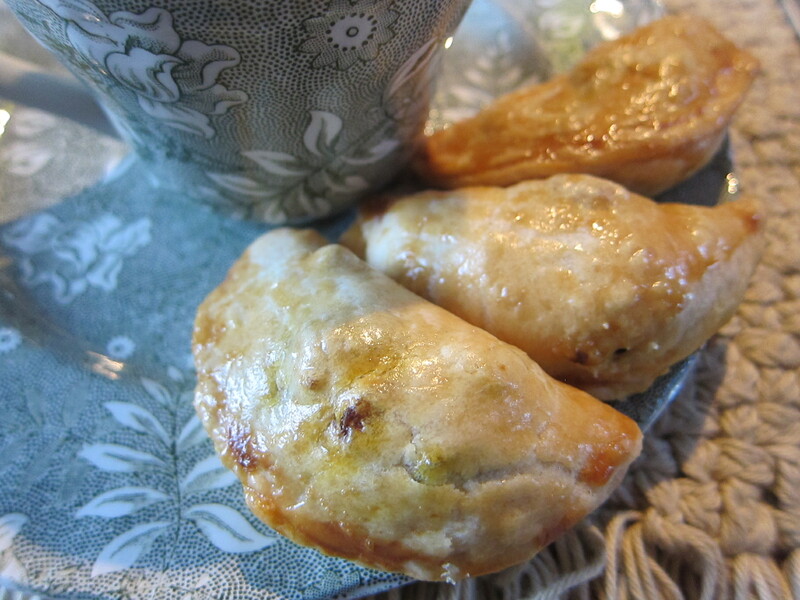 If you think about, this is another food you can find almost in every country around the world with its own version of a pastry or dough stuffed with sweet or savory fillings: Cornish pasties, pirogi, samosas, dumplings, turnovers, pastels, etc. They can be served alone or as a side dish. 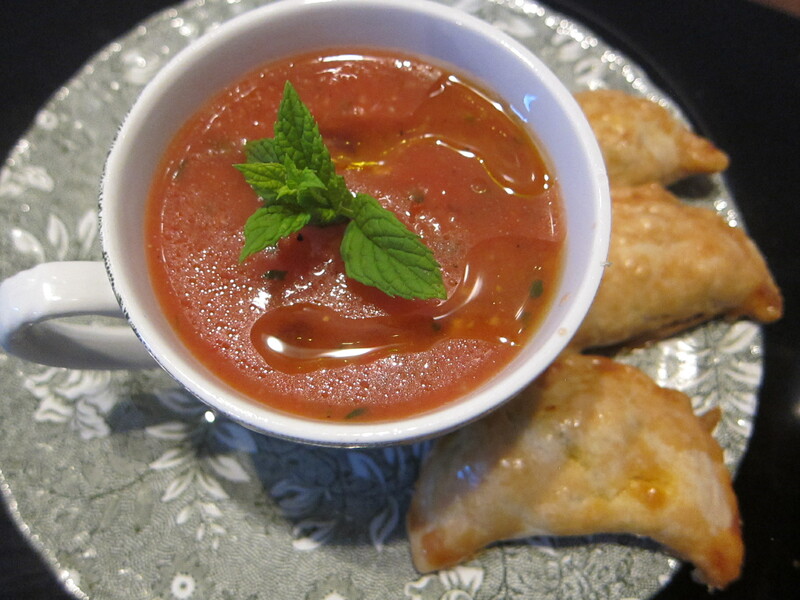 Empanadas are a very versatile, once you know the basic method, you can try different fillings. It is a great way to use seasonal veg and fruits. This version is always a hit in our household and amongst our friends. 1. Sift the flour and baking powder into a large bowl. Rub in the butter with your fingertips until it looks like coarse breadcrumbs. 2. Add the beaten eggs and the water, a little at a time, mixing them with the knife, then your fingertips, until a ball of dough is formed. Wrap the pastry in cling film and chill in a fridge for 30 minutes. 3. Heat the oil in a frying pan and cook the onion over a medium heat for 5-8 minutes, or until soft. 4. Add the tomatoes, tomato purée, chilli, cumin, paprika, tuna and parsley, mix well, season with salt and pepper. Reduce the heat and continue to cook for 5-7 minutes, stirring occasionally. Set the mixture aside to cool. 5. Preheat the oven to 190C. Roll out the pastry on a floured surface to 3mm thick. Use a 9cm (or close to) pastry cutter to cut out circles. 6. Put a heaped teaspoon of the filling inside each circle, then brush the edges with water. Fold the pastry over to form a half-moon shape, then firmly crimp the edges to seal. 7. 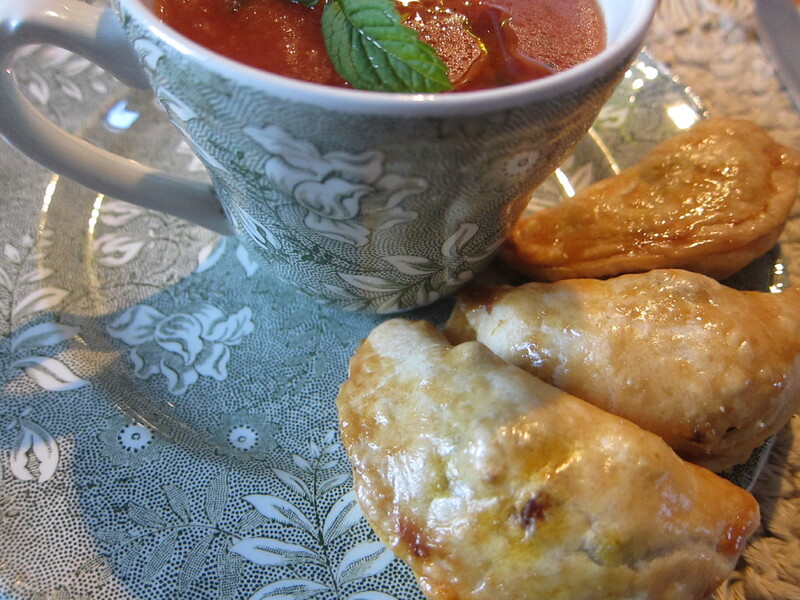 Place the empanadas on a baking tray lined with baking paper and brush the tops with beaten egg. Bake for 25-30 minutes or until golden brown. Serve warm. 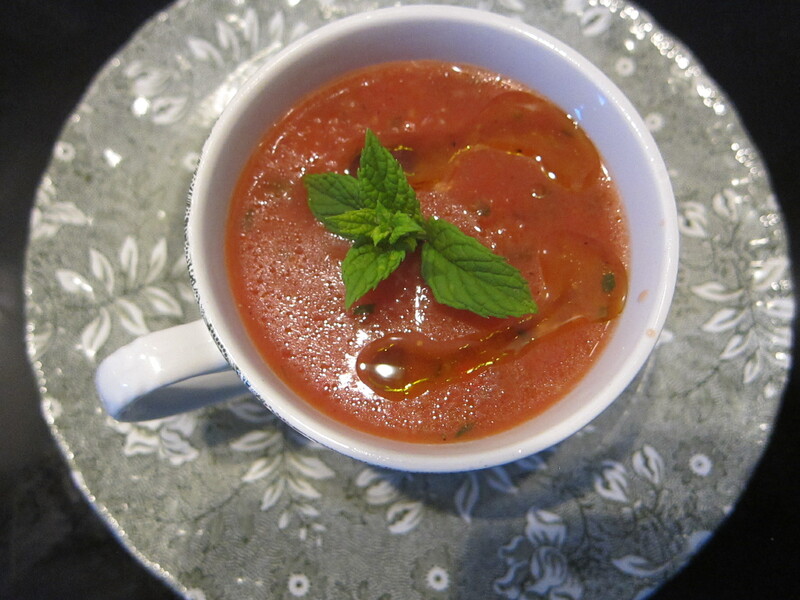 We had them on a side with Gaspacho. P.S Unfortunately, I can not remember which book the recipe came from. I had a black & white copy of it without any references on it for ages. I treasure it very much and now would like to share it with you, as this recipe is excellent and works every time. According to Wikipedia, Shakshuka is a dish of eggs poached in a sauce of tomatoes, chilli peppers and onions, often spiced with cumin. It is believed to have a Tunisian origin. The first time I heard about it, was on Ottolenghi’s TV cooking show. Thing is, I remember my grandma used to cook something very similar but without chillies and with some pre-cooked potatoes. Using up all the leftovers we called it ‘Poor Man’s Breakfast’. It is warming and comforting, ideal for mornings or days when you are not up for a great culinary challenge. 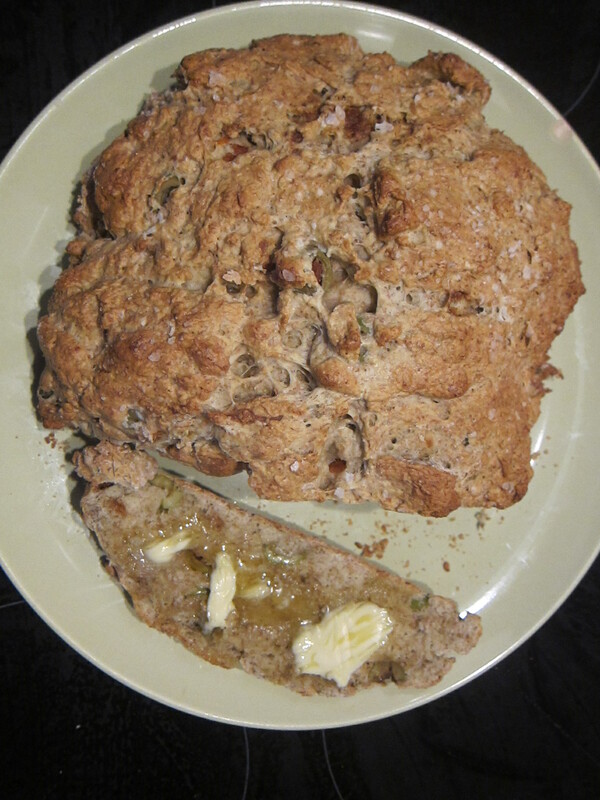 We had it with Soda Bread and it was a perfect match. 1. Heat oil in a large skillet over medium-low heat. Add onion and bell pepper. Cook gently until very soft, about 20 minutes. Add garlic and cook until tender, 1-2 minutes; stir in cumin and paprika, and cook 1 minute. Pour in tomatoes and season with 3/4 teaspoon salt and 1/4 teaspoon pepper; simmer until tomatoes have thickened, about 10 minutes. 2. 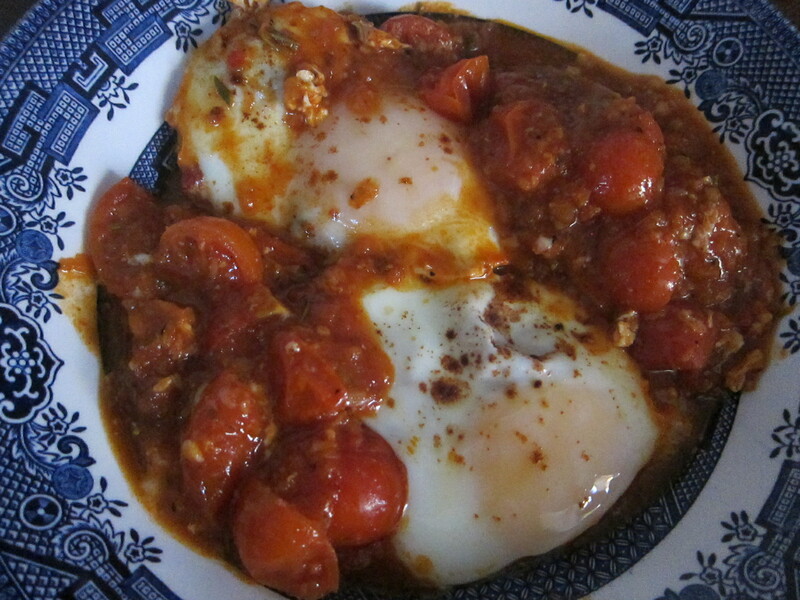 Gently crack eggs into skillet over tomatoes. Season with salt and pepper. Cover skillet with a lid and leave it cooking until eggs are just set, 5 to 7 minutes. Sprinkle with some fresh herbs, feta cheese or serve with hot sauce, if you wish, but definitely with some crusty bread to scoop up delicious sauce. This a modern take on old fashion classic. I was so pleased with the result. You can make this bread in 40 minutes from start to finish. It is wonderful when still warm with a good helping of butter, but is also good even a day or three later, (If there’s any left of course). With its nobly crust and shapeless look, it is not the prettiest looking bread I’ve ever seen, but the taste will compensates its’ look. 1. Preheat the oven at 200C. 2. Grease a baking tray with olive oil or use parchment paper instead. 3. Mix all dry ingredients in a big bowl. Mix the buttermilk, pesto and chopped olives in a smaller bowl, then pour into dry mixture and bring all together. Add a splash of milk if needed. Do not knead. 4. Dust the working surface with some flour, tip out the dough on it and make a ball. 5. Transfer the dough ball onto the baking tray, flatten the ball lightly and apply milk wash. Cut a cross lightly on the top. 6. Bake till golden brown. The loaf will sound hollow when tapped underneath. Transfer to wire rack to cool.